IS THE UNITED ORDER SOCIALISM? “And inasmuch as ye impart of your substance unto the poor, ye will do it unto me; and they shall be laid before the bishop of my church and his counselors, two of the elders, or high priests, such as he shall appoint or has appointed and set apart for that purpose. “And it shall come to pass, that after they are laid before the bishop of my church, and after that he has received these testimonies concerning the consecration of the properties of my church, that they cannot be taken from the church, agreeable to my commandments, every man shall be made accountable unto me, a steward over his own property, or that which he has received by consecration, as much as is sufficient for himself and family. “And again, if there shall be properties in the hands of the church, or any individuals of it, more than is necessary for their support after this first consecration, which is a residue to be consecrated unto the bishop, it shall be kept to administer to those who have not, from time to time, that every man who has need may be amply supplied and receive according to his wants. (Doctrine & Covenants 42:31-34, emphasis added). In other words, those participating in the United Order would consecrate [i.e. donate] all of their property to the Church. An appropriate amount of property – no doubt consisting of much of their own original property – was then to be deeded back to the participant as a “stewardship.” Profits that were made thereafter which were over and above the “wants and needs” (D&C 51:3) of a family were to be donated back to the Order to help the establishment of other families. Socialism is government ownership of the means of production. It is a system where private ownership is abolished and the government has sole ownership and control over property, and society itself. Some have assumed that the United Order is a form of socialism. I hear that all the time from liberal Mormons, and sometimes well-meaning members of the Church assume the same. This idea, however, is totally false. And the leaders of the Church have been uniform in teaching us that the United Order is not socialistic or collectivist, but is rather much more closely related to capitalism. (Joseph Smith, History of the Church, vol. 2, p. 295-296). 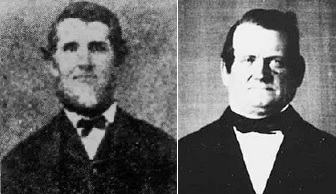 When a utopian socialist spoke at Nauvoo in September of 1843, the Prophet Joseph Smith made sure to document: “I attended a lecture on Socialism, by Mr. Finch…. I said I did not believe the doctrine” (Joseph Smith, History of the Church, vol. 6, p. 33). The prophet then noted with approval that John Taylor, known for his libertarian views, “replied to the lecture at some length” in contradiction to Finch’s ideas. It was only a few weeks later that the Prophet himself preached “about an hour on the 2nd chapter of Acts, designed to show the folly of common stock” (Ibid., p. 37-38). (Orson Hyde as quoted in Hyrum L. Andrus, Doctrines of the Kingdom, 1973, p. 227). (Heber J. Grant, J. Reuben Clark, David O. McKay, Messages of the First Presidency of The Church of Jesus Christ of Latter-day Saints, 6: 151). (Heber J. Grant, J. Reuben Clark, Jr., David O. McKay, Messages of the First Presidency, 6:17-18). 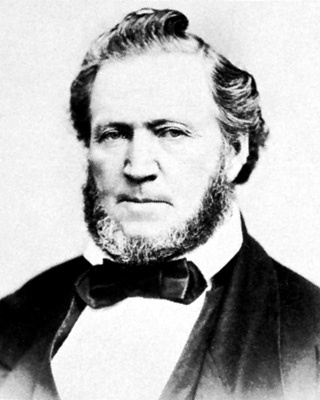 J. Reuben Clark was one of the great General Authorities of the Church. He was a member of the First Presidency for over 28 years, from 1933 to 1961. A nationally recognized authority on the Constitution, President Clark spoke on it and related subjects throughout his long and illustrious ministry. Truly the Lord had raised up a seer to teach the Saints and warn them of the threats to freedom and the Constitution. (President J. Reuben Clark, Jr., Conference Report, October 1942). Ezra Taft Benson was another powerful voice for freedom and the Constitution. Called as an apostle in 1943, He became President of the Church in 1985 until his death in 1994. Like President Clark, President Benson was a statesman,.an expert on the Constitution, and spoke untiringly for freedom. Few men were ever qualified like President Benson to comment on matters touching the religious, political, and economic. “It has been erroneously concluded by some that the United Order is both communal and communistic in theory and practice because the revelations speak of equality. Equality under the United Order is not economic and social leveling as advocated by some today. Equality, as described by the Lord, is “equal[ity] according to [a man’s] family, according to his circumstances and his wants and needs” (D&C 51:3). 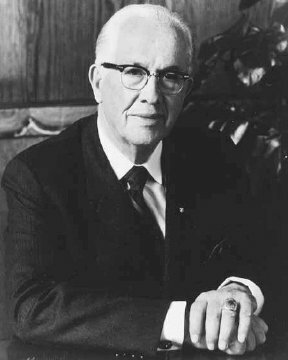 (Ezra Taft Benson, “A Vision and a Hope for the Youth of Zion,” BYU Speeches, Apr. 12, 1977). (Marion G. Romney, Conference Report, April 1966). (Elder Harold B. Lee, Conference Report, October 1941). “That you may be equal in the bonds of heavenly things, yea, and earthly things also, for the obtaining of heavenly things. What does it mean in this revelation to “be equal”? In another revelation the Lord explained, “And you are to be equal, or in other words, you are to have equal claims on the properties [i.e. of the Lord’s storehouse], for the benefit of managing the concerns of your stewardships, every man according to his wants and his needs, inasmuch as his wants are just” (D&C 82:17). In other words, equality was not to mean that each man must own the exact same things, but that each was to have equal privilege to access the Lord’s storehouse “according to his wants and needs.” This was to be done so that stewardships could be maintained and managed effectively. Orson Pratt explained that, “It is well known that for farming purposes, it does not require the same skill as for manufacturing many articles, nor the same capital” (as quoted in Hyrum L. Andrus, Doctrines of the Kingdom, 1973, p. 277). In other words, not all participants would own or have stewardship over the same amount of goods, as occupations vary and call for different circumstances, but “there was [to be] no poor among them” (Moses 7:18). Also, Orson Pratt wrote, “The Lord never intended that every man should possess an equal amount of stewardship with his brother. Why? Because God has given to some men greater ability to manage and control property than others” (as quoted in Hyrum L. Andrus, Doctrines of the Kingdom, 1973, p. 278). Therefore, there would still be a disparity of wealth, but no one suffering in poverty. The equality was one of equal footing as stewards, and not of equal resources or property. Orson Pratt explained further that, “No equality can be brought about by dividing property; the Lord never intended such an order of things” (as quoted in Hyrum L. Andrus, Doctrines of the Kingdom, 1973, p. 277). There was to be no expropriation of property to divide it among a favored class. Instead, the Saints were to voluntarily consecrate themselves and their means, and consider themselves united as joint heirs to the Lord’s property. “Supposing that the property of the whole community were divided today equally amongst all, what might we expect? Why a year from today we should need another division, for some would waste and squander it away, while others would add to their portion. The skill of building up and establishing the Zion of our God on the earth is to take the people and teach them how to take care of themselves and that which the Lord has entrusted to their care, and to use all that we command to glorify his holy name. This is the work of regenerating, of elevating mankind to the higher plane of the Gospel; in other words, of simply teaching them their duty." “Now, if we could take this people, in their present condition, and teach them how to sustain and maintain themselves and a little more, we would add to that which we already have; but to take what we have and divide amongst or give to people, without teaching them how to earn and produce, would be no more nor less than to introduce the means of reducing them to a state of poverty. (Brigham Young, Journal of Discourses 18:354). From this we learn that in the United Order there is not to be an equality of property in the sense of absolute ownership; People would not own the same amount of things. As noted further above with the teachings of Orson Pratt, in the United Order there would still be a disparity of wealth, because there is an inherent disparity of ability among people. But there would be no poor within the Order as a result of the system and the love it is based on. (Orson Pratt as quoted in Hyrum L. Andrus, Doctrines of the Kingdom, 1973, p 274). This “union of property” is to be understood in the sense that all mankind are merely stewards of what is really the Lord’s property. And since all mankind are children of God, all are stewards of that which does not truly belong to them, even though we may refer to them as owners. But like in the Parable of the Talents, some stewards are capable of managing more than others of what belongs to their lord (see Matt. 25:14-30). However, though some will have more than others, wealth beyond that which is necessary according to the “wants and needs” of a family (see D&C 51:3) are to be given as freewill offerings to the Church to help those in need (D&C 42:33-34), eliminating the problem of poverty. (Doctrine & Covenants 82:18-19, emphasis added). To create a sense of equality and brotherhood among the Saints. To more easily enable widespread economic opportunity among the Saints. To eliminate pride and envy. To foster sensibilities towards the interests and needs of others. To prepare the Saints for the celestial kingdom by requiring obedience. To see that the Saints are in a position to prosper according to correct economic principles. The United Order is completely voluntary, while socialism requires the use of force to confiscate (i.e. steal) the property of others in order to redistribute it. It is Satan’s method to operate by force, destroying free will and forcing the masses to bend to the will of a dictator (see Moses 4:1-3). The United Order retains the private ownership of property. Each individual’s consecrated property is considered private property once it is placed in new hands. In Mormonism, “the right and control of property” is a sacred and undeniable right (D&C 134:2). Those who participate in the United Order have absolute control over their property, while socialism seeks to abolish private ownership and give the sole power of property ownership and control into the hands of the state. The United Order encourages private competition, as competition is the means by which services are rendered better and more efficiently. Socialism seeks to eradicate competition and give the consumers only one choice - the state. The United Order is administered at the local level, with the Bishop of each ward being the Lord’s judge in the matter. Socialism, on the other hand, is administered at the federal level of government, the most inefficient and faceless and removed entity imaginable. The family is the center of the United Order and the focus for which men work for economic prosperity. In socialism, the government seeks to replace the institution of the family with the state. The United Order holds respect and value for the Constitution of the United States, which is based on the premise of a free market capitalist system. Socialism is at its core completely opposite to the principles of the Constitution. The United Order is a private, voluntary system administered by a private Church among its members. Socialism is administered by the government with the aim to usurp authority over all people. To quote Elder Marion G. Romney speaking under the direction of the First Presidency: “No brethren, socialism is not the United Order” (Marion G. Romney, Conference Report, Apr. 1966). The similarities between socialism and the United Order are very superficial; the differences between socialism and the United Order are stark and immovable. The leaders of the Church have been unanimous in saying that socialism is fundamentally different and antithetical to the premises the United Order are built on. Members of the Church, after reading this article, have the knowledge necessary to reject the mistaken notion that the two systems are alike. And if there be some who see this article and yet continue to assert that the United Order is socialistic, let it be known that they are dishonest and their sophistry is lies.